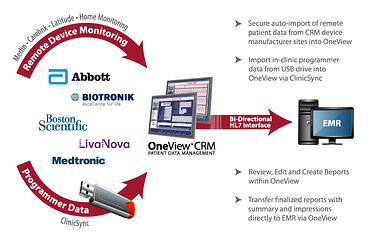 Patient centered, device neutral data management for cardiac implantable electronic device patients. 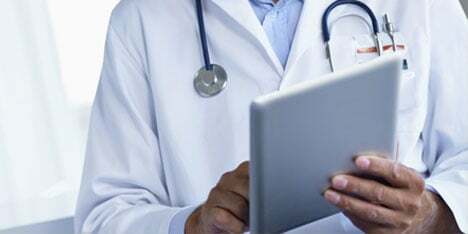 Experience simplified, streamlined management of all your CIED patient data and reports—because your ability to care for patients shouldn't be limited to a single brand. 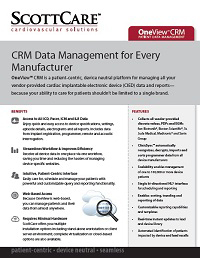 OneView CRM automatically recognizes, decrypts, imports and sorts manufacturer programmer data. Dealing with 10 devices or 10s of thousands? 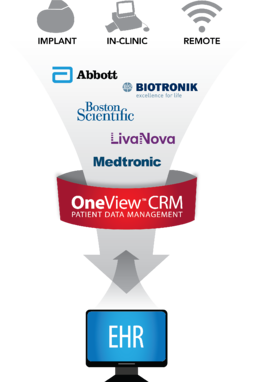 OneView CRM can help you easily manage the data. Only one bi-directional HL7 interface is required for communication with your EHR of CIED data, scheduling and reporting. Dramatic workflow improvement whether your devices are by Abbott/St. Jude Medical, Biotronik, Boston Scientific, LivaNova or Medtronic. One Platform. One Workflow. OneView. on each vendor's data all in one place.